Aaron Taylor with his HOF plaque Tuesday evening. 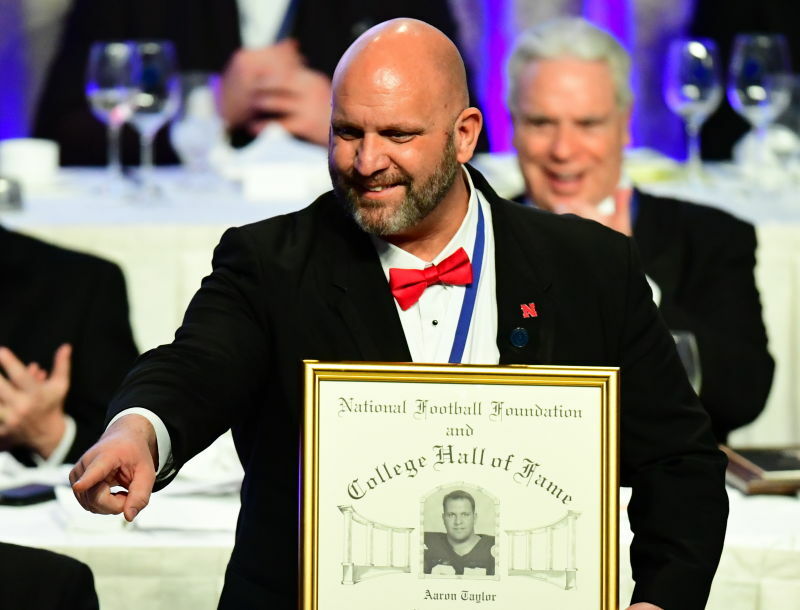 Nebraska offensive lineman Aaron Taylor was inducted Tuesday night into the College Football Hall of Fame. In a National Football Foundation video interview Tuesday morning, he discussed the honor, his playing days and more. The two-time first team All-American first earned consensus honors as a junior after making the switch to center at the beginning of the season. Taylor then moved back to his preferred position of left guard during his senior season when he claimed unanimous first team All-America honors and the 1997 Outland Trophy as the most outstanding interior lineman in the nation. In addition to the three national championships, the three-time first team all-conference selection was part of three Nebraska conference title teams (Big Eight – 1994, 1995; Big 12 – 1997), as well as a Big 12 North Division title in 1996. Taylor posted 337 career pancake blocks while leading the Huskers to an impressive 49-2 overall record and a perfect 30-0 conference mark in four years. 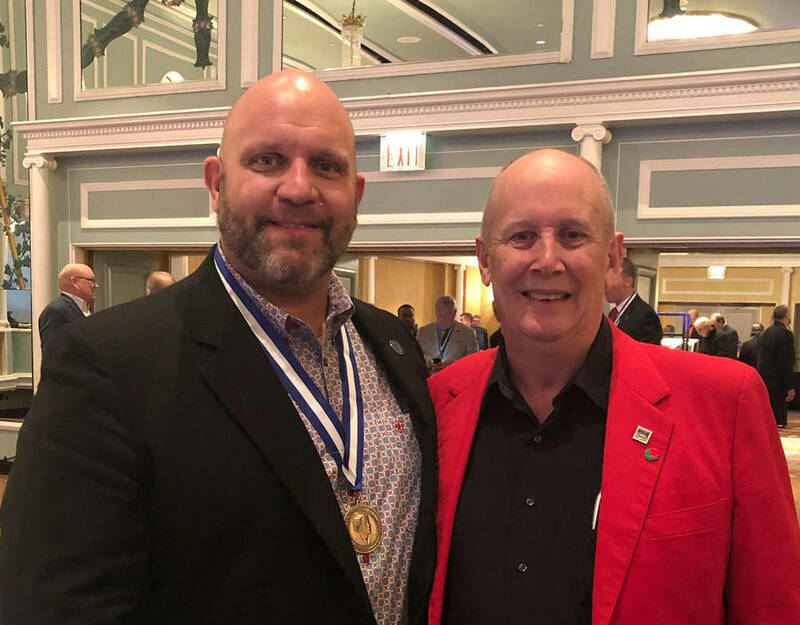 Aaron Taylor and David Max at Tuesday’s 2018 Hall of Fame media event. 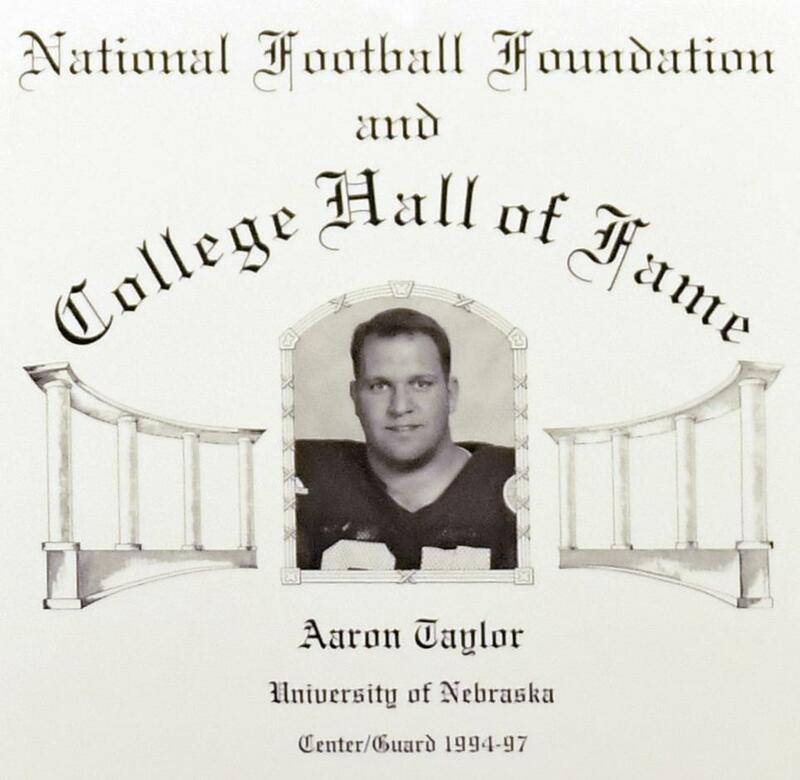 As a senior in 1997, Taylor led Nebraska to a perfect 13-0 record and the school’s third national title in four years after defeating Tennessee in the Orange Bowl. That season, he posted a then-single-season school record 137 pancake blocks while anchoring an offensive unit that led the nation in total offense, rushing and scoring. Taylor started every game of his junior season at center with the exception of the Orange Bowl win over Virginia Tech (started at left guard) as the team finished 11-2. He moved into a starting role as a sophomore in 1995, earning third team All-America honors while helping the Huskers to a 12-0 season and a national title after defeating Florida in the Fiesta Bowl. 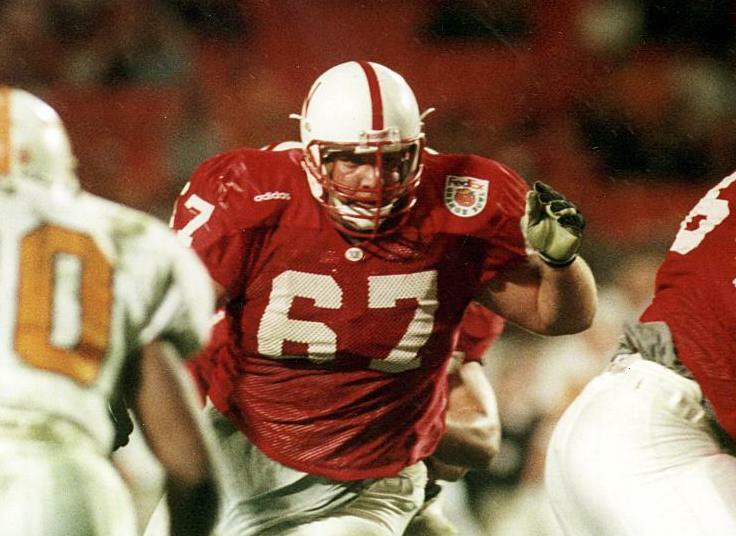 As a redshirt freshman in 1994, Taylor played in every game while helping the Huskers to a perfect 13-0 national championship season after a win over Miami (Fla.) in the Orange Bowl.